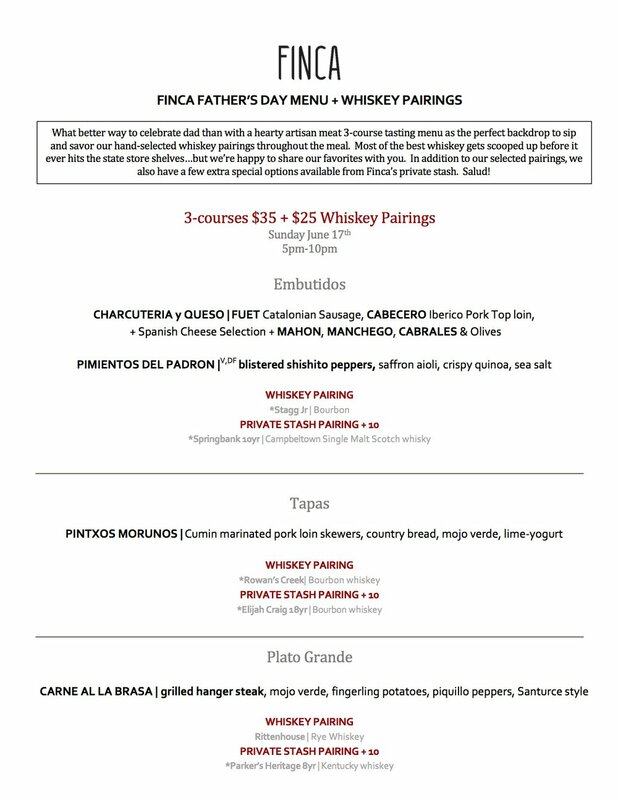 Join us for our Father’s Day BBQ Menu & Whiskey Pairings at FINCA. What better way to celebrate dad than with a hearty artisan meat 3-course tasting menu as the perfect backdrop to sip and savor our hand-selected whiskey pairings throughout the meal. Most of the best whiskey gets scooped up before it ever hits the state store shelves…but we’re happy to share our favorites with you. In addition to our selected pairings, we also have a few extra special options available from Finca’s private stash. Salud! Whiskey not your thing? Finca will also be offering our full brunch and dinner menu on Father's Day.